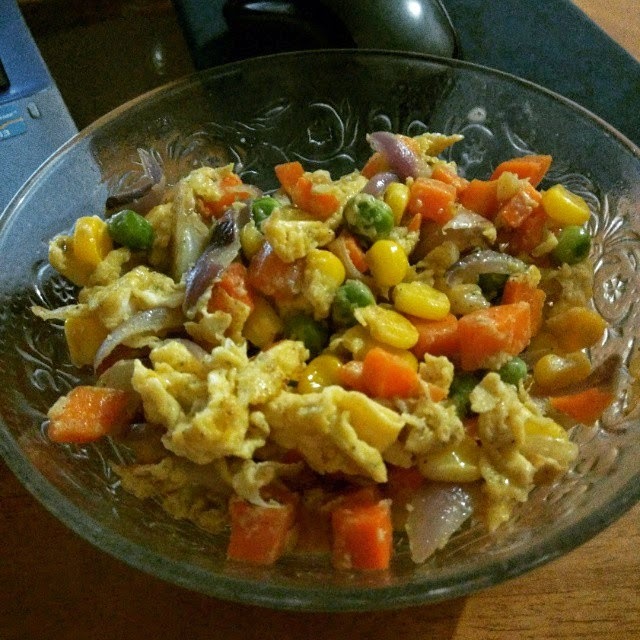 Hi guys just wanted to share you my own recipe that has only a few ingredients with it. 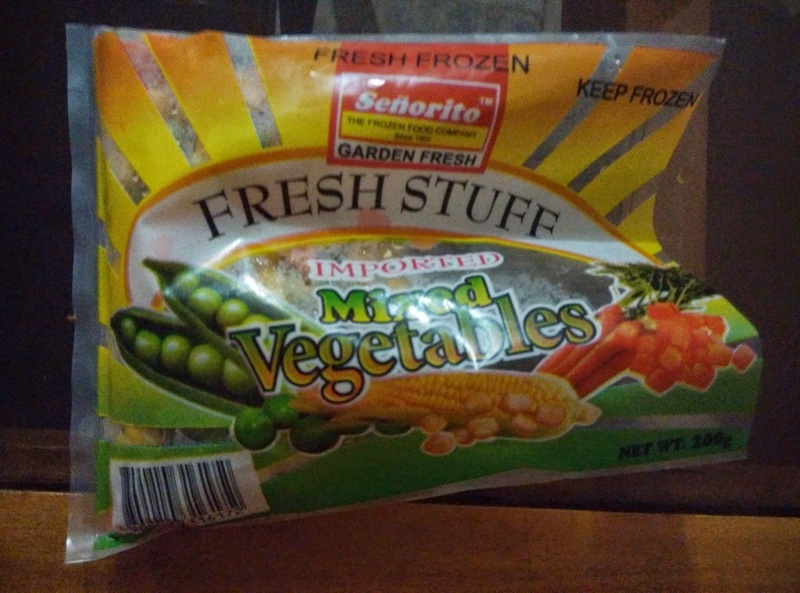 When I bought a pack of frozen mixed vegetable in SM I plan to simply boil it put some salt and mayo for taste and eat it. But I also find it boring and fear it will went on waste so I came up with idea to sautéed it and put egg for more protein nutrients with it. Heat the pan with a little vegetable oil or any cooking oil and sauté garlic and onion. Put half pack of frozen mixed vegetable when onion is slightly cook, stir fry for 1 to 2 minutes. While stirring put a pinch of rock salt, chili flakes and black pepper. Put the beaten egg and continue to stir until egg is cook then serve and enjoy. A pack of this cost less than Php 20.00 pesos only and can serve 2 persons per pack or 2 meals meant for my lunch and dinner. Preparing this meal took only 10 minutes including the mincing of onion and garlic. And according to MyFitnessPal app it has 236 calories only per serving including the eggs and other ingredients to it. The best part of this is it taste really good and enough to give the energy I need while maintaining my calorie intake.